What do you want to do with your retirement? Travel the world and see the sights, buy that dream home in the country, or simply enjoy the time you have with your loved ones. Whatever and however you plan on spending your retirement, none of it is possible if you don’t save the pennies. Having a retirement and pension plan in place is a must to ensuring you can have a comfortable and care-free retirement. Many people are unsure as how to go about saving for a pension, how much they should be saving and how much they could be gaining. By acquiring the services of an established financial planners, ideally who specialize in retirement and pension planning, you can receive trusted and knowledgeable advice. A personal financial planner will take the time to sit with you and outline your options, answering any questions you may have. So what things are worth thinking about to ensure you’re getting the most out of your pension? The earlier you begin to save, the bigger return you will see in your pension fund. Starting earlier with a smaller amount is healthier for your finances as people in their twenties are often just starting out in their career. Make sure you can afford to live before increasing your contributions! By enrolling on a workplace pension schemes, such as the new NEST Pension Scheme, you can begin to manage your contributions in sync with your career progression. NEST Pensions are a one-pot fund which allows easy access and stays with you throughout you career, making saving for your pension that little bit easier. Managing how much money you employ into your pension can often be overlooked and under-appreciated. Many people are unsure as to how much they should set aside. Again, in your twenties you are just beginning to save so 12% of your income is a good place to start, rising to 20% by the time you are in your mid-thirties. Try to refrain from splashing out when you receive a pay-rise, work bonus or financial benefit and consider making an additional contribution to your pension. Whilst living in the moment is a nice philosophy to live by, you really could begin to see your pension grow in later years. Before you consider saving, you should look to pay off any debts, loans and outstanding payments you may have. This will not only give you peace of mind, but put you in a steady financial position when it comes to addressing your savings accounts. Starting early is really key to a bright financial future. Online calculators are eye opening to let you see how much difference it makes to start 5 or 10 years later. They really need to stress that fact more to young people. Then they’d be much better off, but instead most wait until later in life to start saving. Hopefully one day it is part of high school curriculum. The earlier, the better. Most pensions I know (through work) are not voluntary, so you (or the company) start contributing as soon as you start working there. It is something people should know about at their jobs. I haven’t been lucky enough to work at a company that offers any kind of pension since it’s usually much bigger companies. So I’m pretty much stuck saving for retirement on my own unless I change careers at some point. As you and Pauline said starting early is the biggest key to having a successful retirement. The problem is most people have that I want it right now mentality and unfortunately cut themselves short from having a great retirement. Another thing I suggest never doing with 401k’s or other retirement plans is withdrawing money or taking a loan against your retirement since you will have interest charges, and lose out on the money that could have help compound your money into more in the end for you. Yes you really need to consider your retirement savings as being locked in and not dip into it for any reason. I went against that when buying my first home since there was a tax benefit to doing so. Since it’s buying an asset I think it’s more acceptable though. I wouldn’t take money out for any other reason. Great advice for young people. The need to start early is a big reason why I’m such a big fan of auto-enrollment. It makes it easy for people to make the right financial choice, without even having to make the choice. I’m not sure if auto-enrollment is the answer. Young people need to understand the importance to contributing to their retirement savings. Then they can make the right decisions to put more aside than the bare minimum. Starting early is really the key to being able to maximize your returns. Albert Einstein said compounding interest is the most powerful force in the universe. Input some numbers into a compounding interest calculator and you can see just how important the time factor is. Even a few extra years helps. I think people can understand compound interest easy enough, but they just don’t realize how much of a difference it can make. It is quite staggering how your money can grow if you do start saving early. Paying my debts first has been my starting point. I have an IRA in which I’m putting a little money while most of my cash goes into debt. Once it is paid off (estimated 6 years), then I will put all of that cash into retirement instead. That will be a 1000% increase in retirement savings! Tackling debt is the smart thing to focus on, at least when it is above average interest rate. I’m sure once you get there you’ll get super focused on building up your retirement savings. It’ll be nice to see those numbers increasing at a quicker rate. Starting early is always the first thing to do. I am a strong believer of less spending, living modest and spend only when it is necessary, which will certainly save a lot a money. That is a pretty good strategy to take, but don’t forget to have and enjoy your money sometimes. It can’t be all about saving otherwise you might be unhappy as a result. Starting early seems to be the most effective. Unfortunately, we can’t turn back the clock! Financial education earlier on seems to be the key. For sure…if you didn’t start saving early, there’s not much you can do to change that other than start saving now as aggressively as you can. As you grow older, you think about saving for retirement. The problem is with many younger folks who are deferring saving until they are in the 30s or 40s. They must save for retirement when they start working their first full time job. Saving for retirement is a hell of a lot easier if you start when young. Then you get to take advantage of more interest compounding and saving just becomes more natural. I couldn’t imagine how tough it is if starting in your 40s or later. Then’s when you usually have to accept that you won’t get the kind of retirement you might’ve hoped for. Remember pensions ? Back in 1975, 85 percent of private-sector workers covered in a workplace retirement plan had one. Now it’s closer to 30 percent. Unless you’re in the public sector, your workplace retirement options are probably limited to a company 401(k)-type plan, which lays the responsibility for retirement squarely on you . Or if you’re working for a small company it’s completely up to you. I’ve never had any kind of retirement savings plan at any of my jobs. So I don’t feel too sorry for the people who ‘only’ have 401k plans. Personally I have no problem with companies going that route instead of pensions as people should be responsible for themselves. As soon as I started earning in my early 20s, I started saving also for my retirement. I want to save enough so I can travel once in awhile when I retire. If you started saving that early that should be easy to afford. That brings up a good point about retirement lifestyle. If you want things like lots of travel and other luxuries, you have no choice but to save extra with that in mind. Like others have said, starting early is crucial. I believe that retirement saving is just as if not more important than paying down debt. Often overlooked is the fact that you can’t make up contributions to 401ks or IRA’s once that year has passed. If you postpone saving til debts are paid off you may never start, and you wont be able to make up 5-10 years of being behind. So start young, and try your best to max out all tax advantaged accounts and you will be farther ahead then most. I didn’t realize 401k’s and IRA’s work like that or maybe you just meant the employer matching plans. Here in Canada your annual maximums keep carrying over if you don’t max out. Either way it can be tough to make up for lost savings time. Yea, for 2013 is $17,500 for your 401k and $5500 for your IRA or Roth IRA. Those amounts don’t carry over from year to year so you can’t go back retroactively and put like $100k into your 401k. That’s why not delaying is crucial to build up that big nest egg. Interesting. I wonder why the two systems differ in that regard. I guess they both have pros and cons. When it rolls over there could be more temptation to put it off. Your retirement income plan is probably the most important investment decision you’ll make in your life. There are many options out there…one size doesn’t fit all. It’s up to you to find what works best for personally yours situation.. I agree that it is incredibly important. With something as crucial as retirement savings, you simply cannot afford to go about it wrong. 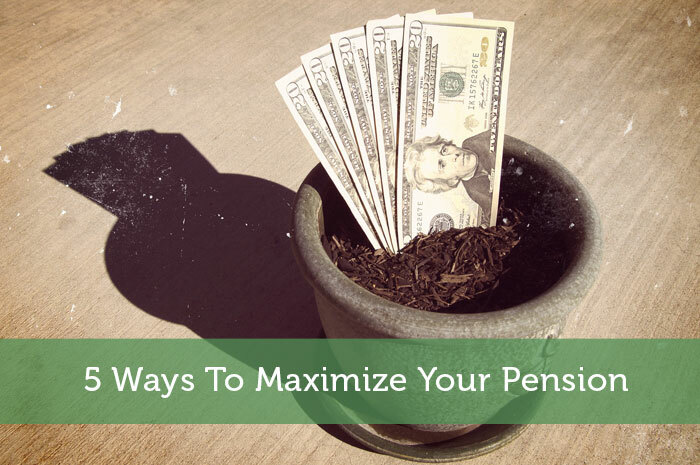 One way or another you need to get the money necessary to cover your expenses when you retire. Everybody’s very cynical! As somebody on the verge of retirement, I thought this was a very useful article. It gives me quite a number if signposts to further research.